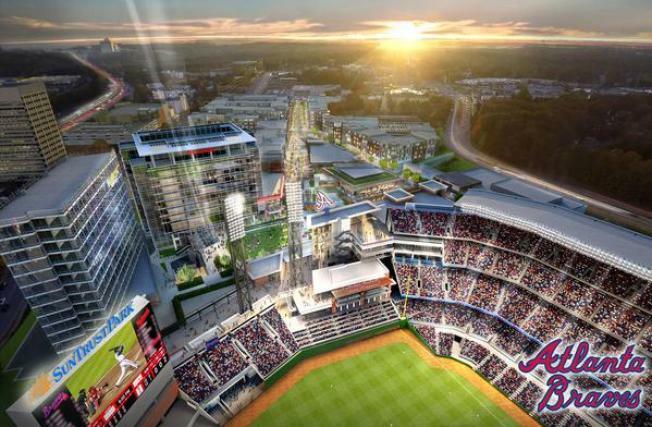 The Atlanta Braves are opening a new stadium, scheduled to be ready for the 2017 season. They recently released an updated rendering of SunTrust Park, which features them losing to the Nationals. The Nationals lost six of their nine games at Turner Field last season, for what it's worth.